What is the Nikon D800E? Adobe announced the release of Lightroom 4.0. The new version adds support for the latest cameras including the Nikon D800, D800E and D4. New lens profiles include Nikon 85mm 1.8G as well as Sigma and Tokina lenses with Nikon mount. 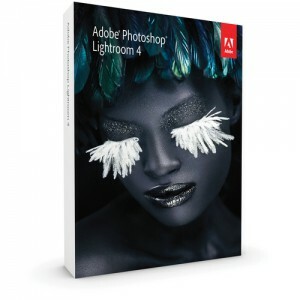 Lightroom 4 provides extended video support, photo book creation, location-based organization, and enhanced online sharing and emailing. New brushes allow for local control of white balance, noise reduction and moiré removal. Adobe reduced the price to only $149.95 for the full version, and $79 for the upgrade. The upgrade is available for any previous version of Lightroom. This entry was posted in Nikon D800 by D800 Admin. Bookmark the permalink. © D800.org. This web site and all contents are for informational purposes for enthusiasts of Nikon digital cameras. This site is not affiliated with Nikon USA or any other Nikon company. All trademarks, brands or product names are trademarks of their respective owners. This site provides links to other web sites and may receive commission from affiliate partners.